RevitaStone is a locally owned and operated granite and quartz countertop company located in Kelowna and serving much of the Okanagan Region. RevitaStone is an innovative company that specializes in the local fabrication and installation of granite and quartz. Uniquely owned and operated by professionals who have served the region for over 10 years. Our team members have developed respected reputations for quality, reliability, and integrity and are dedicated to maintaining those principles. We believe that its our job to provide our customers with more than just beautiful countertops. 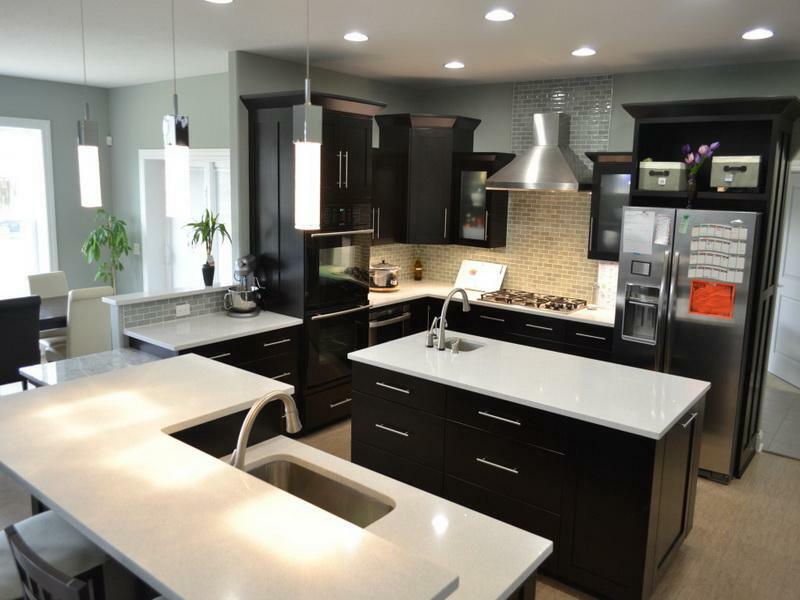 We aim to be the best granite and quartz stone countertop company in Kelowna and the Okanagan. We are dedicated to providing our customers with a superior experience from the start of their project to the finish and thereafter. This begins from the moment you step in our doors and are greeted by a professional with years of experience and knowledge. 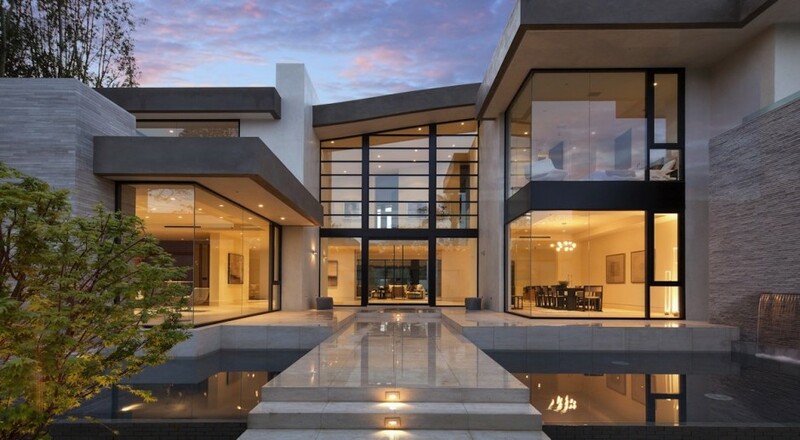 We will guide you through the process and help you develop your vision, and then our skilled fabricators and installers will bring it to life. We are a company committed to our customers. Come see for yourself what sets us apart from the rest of the competition. As a company, we have been devoted to finding the most experienced and talented individuals in the industry. Our owners and employees all share the same vision, to be Kelowna's most trusted choice for quality countertops. It's important for us to be a company that's more than words and promises. We integrate the newest technology and the most innovative processes with our industry leading skills and experience to genuinely provide our customers a superior experience in terms of product quality, reliability, and service. In addition, we believe that as a successful company its important to give back to the our city through charitable donation and volunteer work. Ask us how you can help give back to the community. We are proud to offer the best options for both quartz and granite from some of the most respected brands in the industry. Using our customer's preferred slab choices, we produce Kelowna's best quality countertops with the most reliable service. Our dedicated professionals ensure that our schedules are always prompt and on time – because we understand how our timing impacts that of our clients. Our products are not limited to countertops, we specialize in many other applications such as table tops, fireplace hearths, surrounds, vanities, walls and cladding. 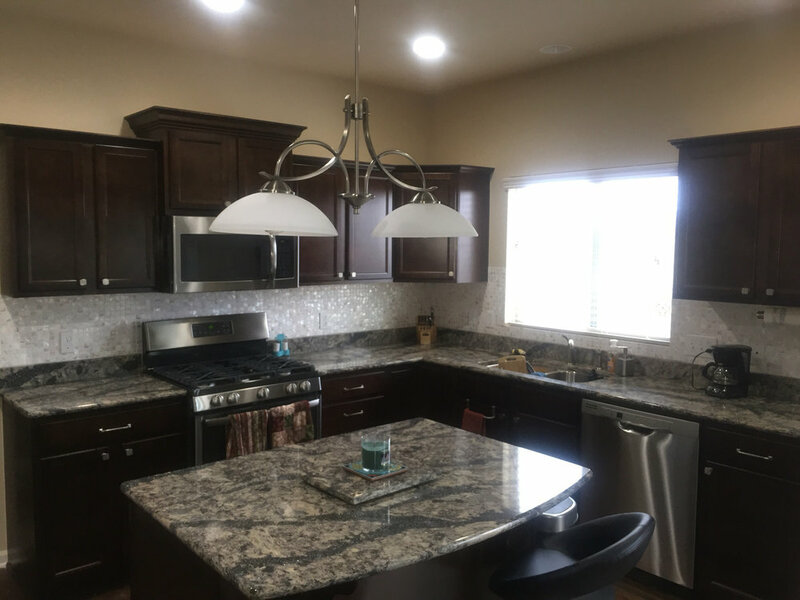 We specialize in being Kelowna's leading provider for granite and quartz countertop repairs such as chip repairs in the edge and surface, crack and seam repairs, the re-fabrication/customization of existing granite and quartz, and the sealing and revitalization of older stone countertops. Exotic granite countertop. Bullnose profile. 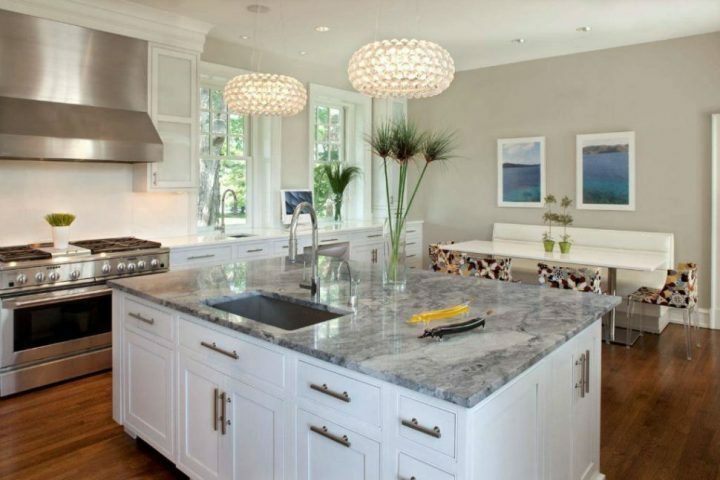 Quartz countertops are becoming increasingly popular as the new worry-free, elegant alternative to granite. 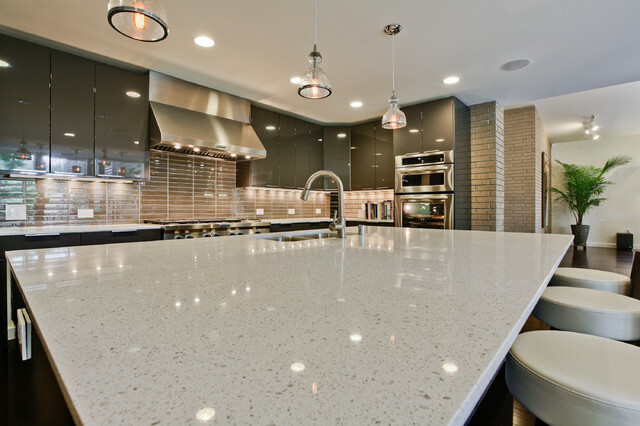 Quartz countertops are manufactured with up to 93 percent quartz and seven percent pigments and resins. This prescribed mixture results in a product that is non-porous, exceedingly durable, and requires no resealing. Also, because quartz is an engineered stone, it is consistent in colour pattern and texture. Technology developments have resulted in many stunning options quartz colours to suite any customers vision. RevitaStone offers a large variety of quartz options that will complement any contempory kitchen. RevitaStone collaborates with the full scope of trade professionals – from contractors to interior designers, carpenters, builders and architects. Click below to find out why we’re the right fit for your company here in Kelowna and the Okanagan. Revitalizing Your Space Doesn't Have to be Difficult, We Can Help. Updating your space could can be as simple as replacing the countertops in your house with new modern and durable quartz or granite options that compliment your style. Whether you are doing a new house, large renovation, small renovation or you in the preliminary planning stages, the professionals at RevitaStone are here to assist you. We have the experience and knowledge to make your project painless, and we work with some of the best trade experts in the industry. If you are requiring guidance else where in your project we can refer you to trusted reputable professionals sure to surpass your expectations. These principles are what RevitaStone stands by, and we only work with and refer like minded business professionals. Start Revitalizing your space with a visit to our showroom for design ideas. Peace of mind is a click away! Request a Quote, site Visit, or ask a question.